[map] Colocated with WMJJ atop Red Mountain. HD-2: Alternative Rock - "Alt 99.1"
AUX: 32 kW @ 725 feet. 60 dBu protected contour map, from the FCC. [Image] RDS data displayed on an Insignia HD portable located in northwest Alabama, showing the Radio Text and PI (call sign) fields. From June 2017. [Image] HD PAD data for the station's main HD broadcast, as displayed on an Insignia HD portable in northwest Alabama. 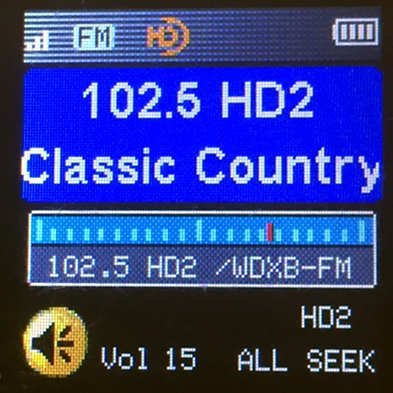 [Image] HD PAD data for the station's HD-2 broadcast, as displayed on an Insignia HD portable in northwest Alabama, when it was classic country "Foggy Mountain". [Image] HD PAD data for the station's HD-2 broadcast when it was carrying the alt. rock "Alt 94.9" format. Before this was a little station in Jasper, the 102.5 frequency goes back to Birmingham. In 1947 Bell Radio Company put on WBRC-FM at 102.5 MHz, with a quoted power of 500,000 watts. FM didn't catch on and the power bill was too high so the station was shut down. The frequency remained blank until the Jasper allocation came along. At first, this was a low powered station serving only Jasper. The calls were WWWB (William W. Bankhead, owner), "3 WB". They switched back and forth between country and MoR. Eventually changed to WZBQ, Z-102 with a CHR format. Then in 1993 the station was Cool 102.5, with an oldies format. WZBQ moved to 94.1, a station licensed to Carrollton, which serves both Tuscaloosa and Columbus, MS. Then in 1994 became WOWC (WOW Country) and targeted the Birmingham market. Wow country ended in early October. It became "Dixie 102.5 Country" with the same musical format. The calls have also changed to WDXB. 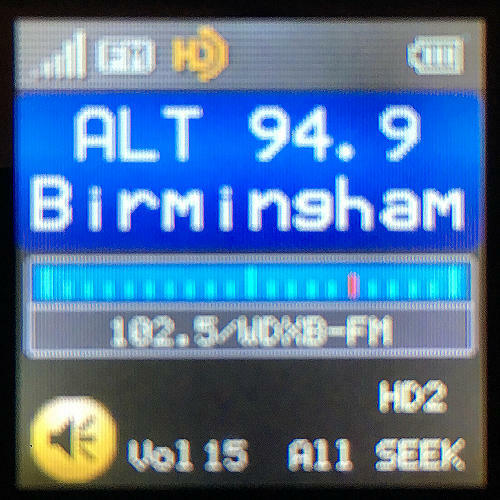 In fall 2001 WDXB applied to leave their tall tower in Tuscaloosa county and move to the Magic 96 tower on Red Mountain in Birmingham. By Spring 2002 the Dixie was dropped and it was just "Country 102.5" with the same calls. In December 2002 the station held a contest for listeners to give the station a new name. 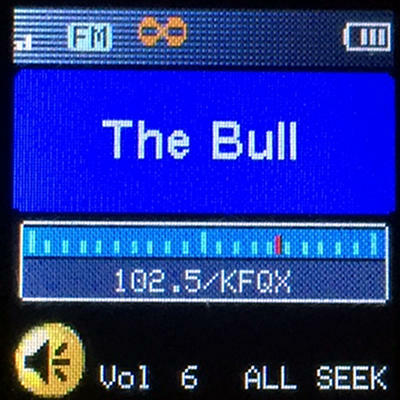 In January 2003, they became "The Bull", when they also started broadcasting from the same site as sister station WMJJ. In May 2008 the station changed city of license (but nothing else) to Pelham. In a curious twist, the station's auxiliary permit is still licensed to Jasper, even though it's at the same coordinates as the main TX location. In another twist, this is the second time "The Bull" moniker has been used on a Birmingham station. The first was on AM 1220. 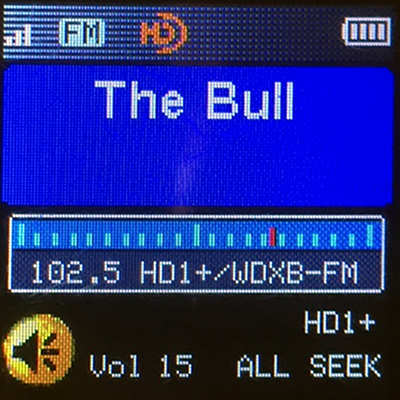 Before it became gospel outlet WAYE, it was urban-formatted WBUL, "The Bull".